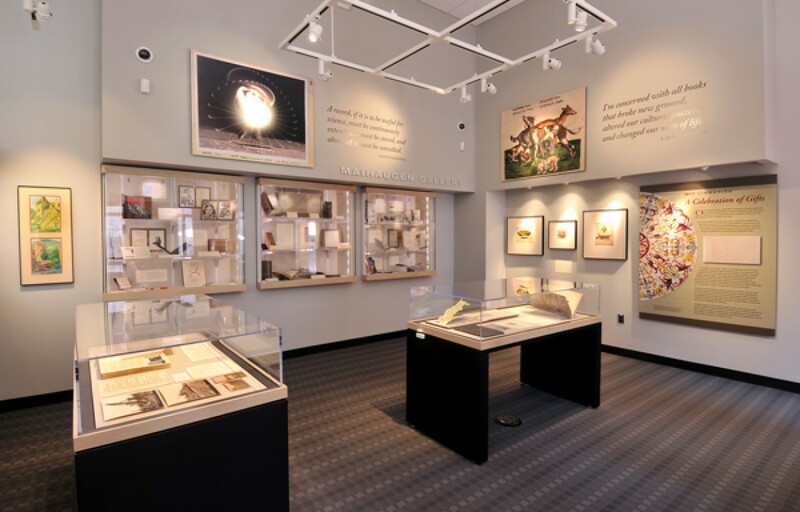 The MIT Libraries’ Maihaugen Gallery offers a window into MIT’s remarkable special collections. Ongoing exhibits showcase historical documents, photographs, rare books, maps, artwork and more from the Institute Archives and the Libraries’ unique collections. The gallery opened in 2008. It was established with the generous support of MIT alumni and friends of the Libraries. The Rotch Library Exhibition space is comprised of a 400 square-foot a gallery plus two additional display cases for exhibits focusing on architecture, art, photography, design, urban planning, housing, community development, geography, globalization and environmental topics. The space is open to the MIT community – students, staff, faculty and alumni. The gallery has been exhibiting since the early 1990s. Interested in proposing a show? Read the Guidelines for Exhibitors and fill out the Rotch Exhibitions Proposal Form. Exhibits accessible when Rotch Library is open.